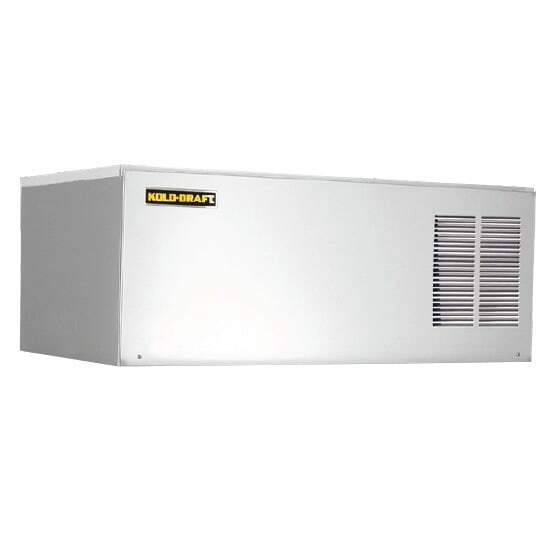 If ambient air is 70 degrees Fahrenheit and incoming water is 50 degrees Fahrenheit, then the Kold-Draft GB564LHK GB Series ice machine head can make 598 pounds of ice with a water-cooled condenser. 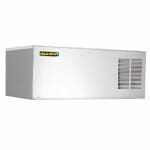 Unlike air-cooled units, this type of condenser avoids heating and loudly whirring, while water flows over the evaporator grid and freezes to create half-size cubes. 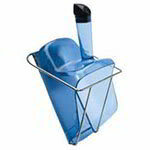 With the purchase of an ice bin, cubes can be collected and saved until needed. 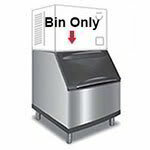 Half-size cubes have a variety of uses, such as for drinks, bags, or displays, and the Kold-Draft GB564LHK ice machine head has a front-access system that simplifies maintenance. 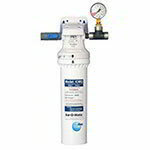 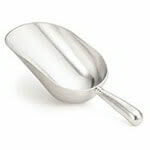 The unit's stainless steel exterior is 300 series to provide excellent rust protection. 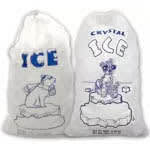 For a more detailed look at these units, you can take a look at our ice machines explainer.